Winter Biking Guide: Prep and protect your bike, whether you'll be storing or riding this season! 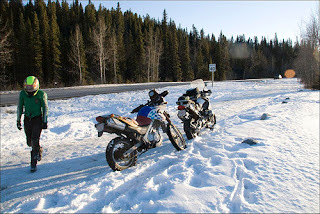 When it comes to both motorcycle maintenance and culture, we all know that (for most of us) winter weather isn't the most ideal or desirable. 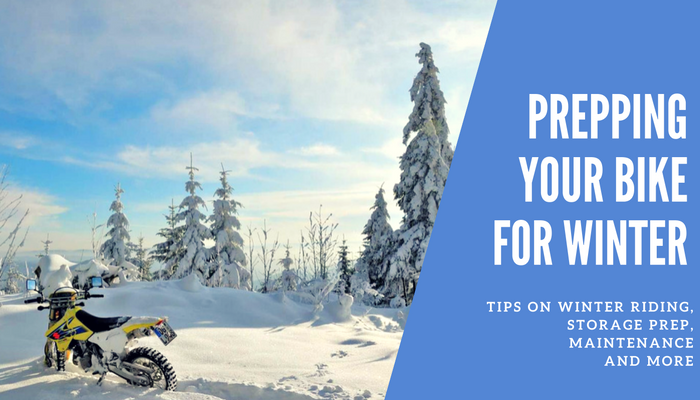 Yet, there are steps you can take to make the months more enjoyable than dreadful, whether you're storing your unit or powering through rides in the winter months. 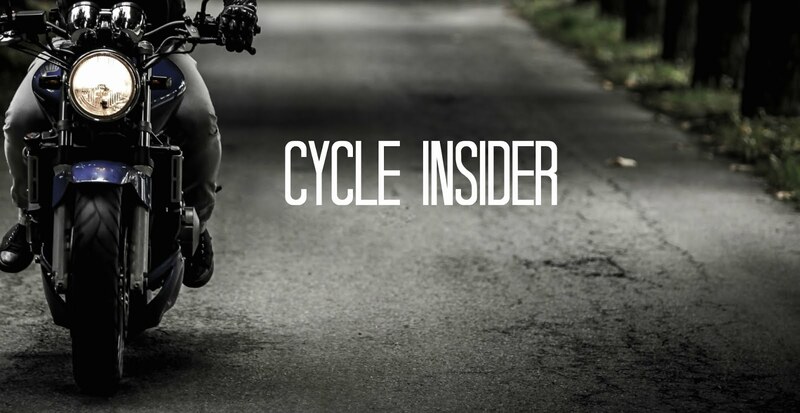 Check out the following tips we've compiled from top motorcycles blogs, gurus, and personal tips on how to take care of your child (or sorry, we misspelled - your bike) this season! Refresh antifreeze at the start of the winter. It should be changed yearly anyway, so if you're unsure when you changed it last, it may be a good idea to start fresh with a new fill. Check tire pressure and test traction. Fill tires slightly below your bike's specified max pressure, and double check that you're comfortable with the tread. These three things aren't anything you should neglect or penny-pinch on...it's your safety we're talking about, not additional cosmetic features, so ensuring these are taken care of before anything else will lesson your likelihood to experience winter accident resulting from easy user mistakes. Thoroughly clean the bike and change out the filter before storage. Use a leaf blower to remove excess moisture from the bike after you shower it, and lube up the cables, controls, chain drives, and pivot points. 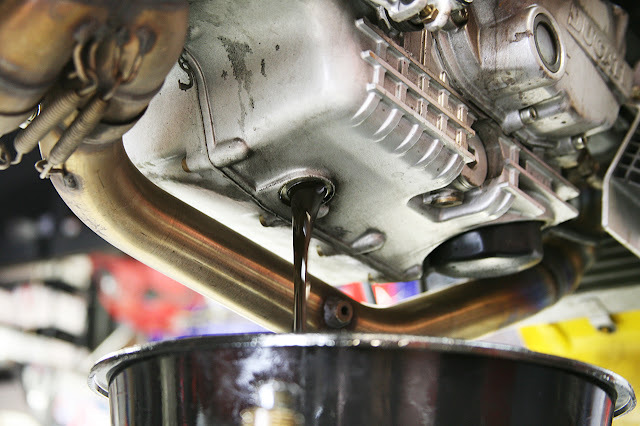 Using a winter weight oil is a good idea, too. While you're at it, drain the tank, then fill it with a stabilized fuel to help it last through the coming winter months. Some folks will preach draining the tank completely, but others have noted that this requires you to fill it back up with fogging oil to avoid rust, so we honestly recommend filling it up with treated fuel instead...why go through the hassle while also taking the risk of coming back to rust? Try to find a tender to hook your battery up to. This keeps the battery juiced without overcharging. 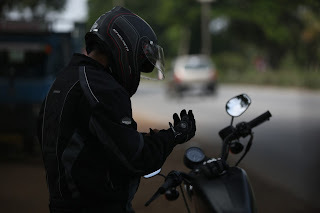 If you don't have one, disconnect the battery and remove from the bike completely while in storage- the last thing you want is to come back to a problem caused by a surge or crack. Store your bike on a stand to keep tires from accumulating flat spots. If you can't find one, rotate the tires manually every few weeks by rolling them back and forth. 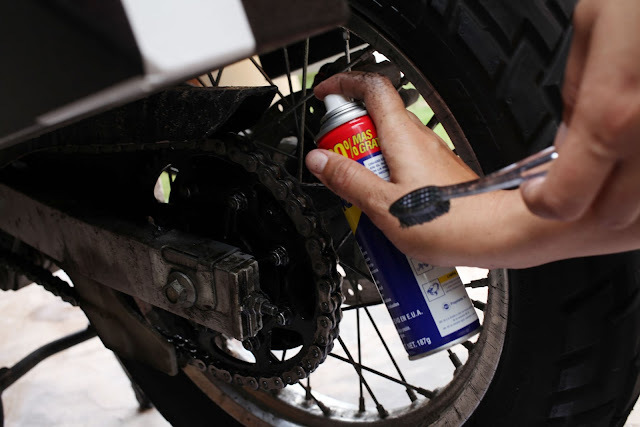 In this case, if the bike won't be lifted and protected from ground elements, place a piece of plywood (or even a cut of an old rug) beneath the tires to absorb any potential harm caused by nearby moisture. Plug up those exhaust pipes, folks! 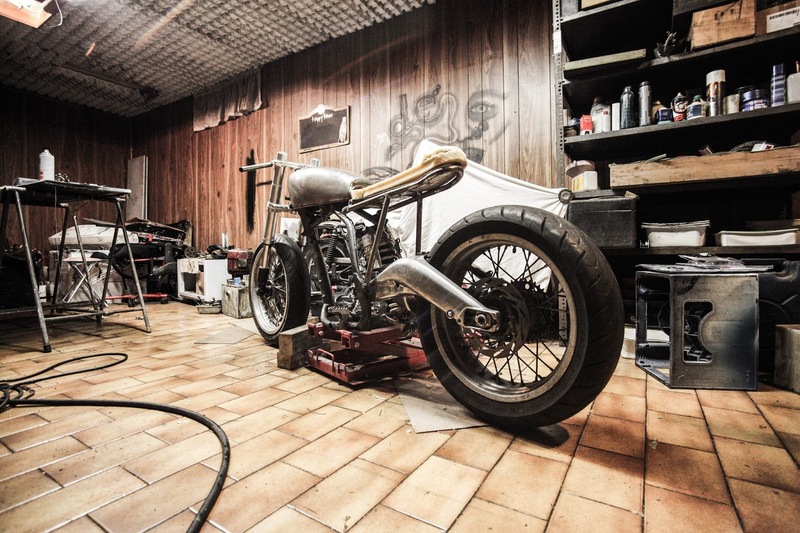 We've all heard horror stories about rodents and pests taking shelter the piping of our beloved motorcycles, so protect them from these uninvited guests by picking up some plugs. If you can't find them, DIY it - some have recommended to carefully stuff plastic baggies into the pipes and secure the "plug" with a rubber band or hair elastic. Hey- you gotta do what you gotta do! Invest in a good cover- for more than one reason. You'll need a good, sturdy, mildew-resistant one to protect the unit from environmental contaminants, but you'll also definitely want to protect it from the view of potential thieves - especially if you're storing outdoors. We highly recommend indoor storage, but regardless of where you store, a bike cover will offer the ultimate final coat of protection from winter weather and wear. Base layers not only keep your body warm, but breathable materials also keep any sweat you may produce from developing into cooled body moisture (defeating the ultimate purpose of keeping you warm). Fleece jackets with insulated neck collars keeps your neck from feeling like it's freezing and ruining your ride; you want an even distribution of body heat, not just a completely heated midsection and a bare neck! Gloves. Get good gloves that are both comfortable and functional- we don't really feel like this one needs much more of an explanation. 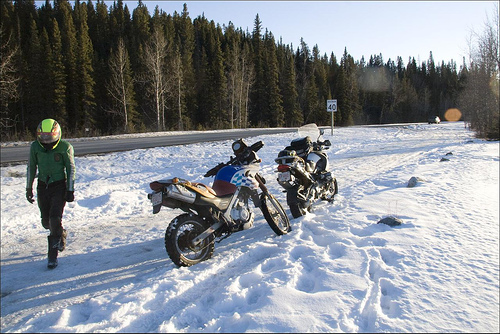 Winterize your motorcycle with windscreens and handguards to keep winter rides as enjoyable as possible and not something you end up dreading. 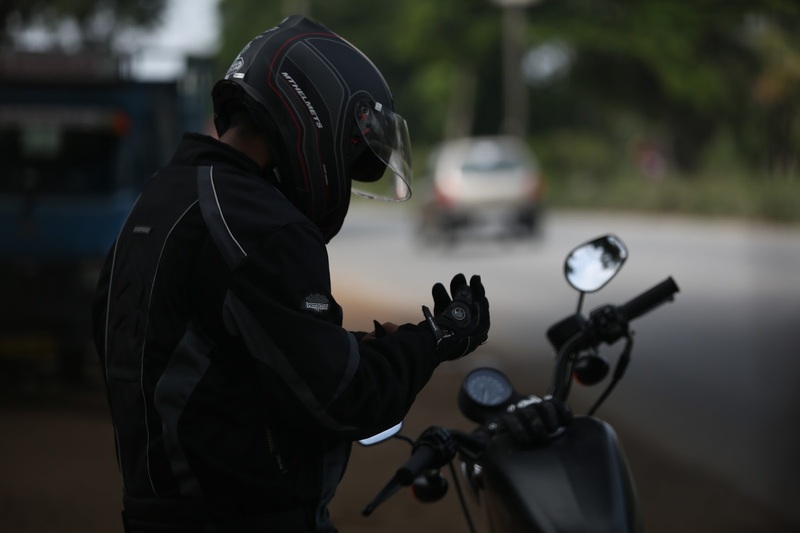 The wind is part of what we love about riding, but the screen protects both you and the bike, and handguards will ensure you maintain a steady grip throughout the duration of the ride. Check tire pressure every couple of rides - not just before long rides, rides in new areas, or before storage. Avoid black ice, salt, and cracks from plows - especially ones that are newly formed, which might be hiding amidst snow and other winter elemental debris. Have a proper towing service on hand with motorcycle experience- you never know when a problem will strike, and you want to be prepared with a company you know will not only know how to properly tow your bike, but also treat it well.